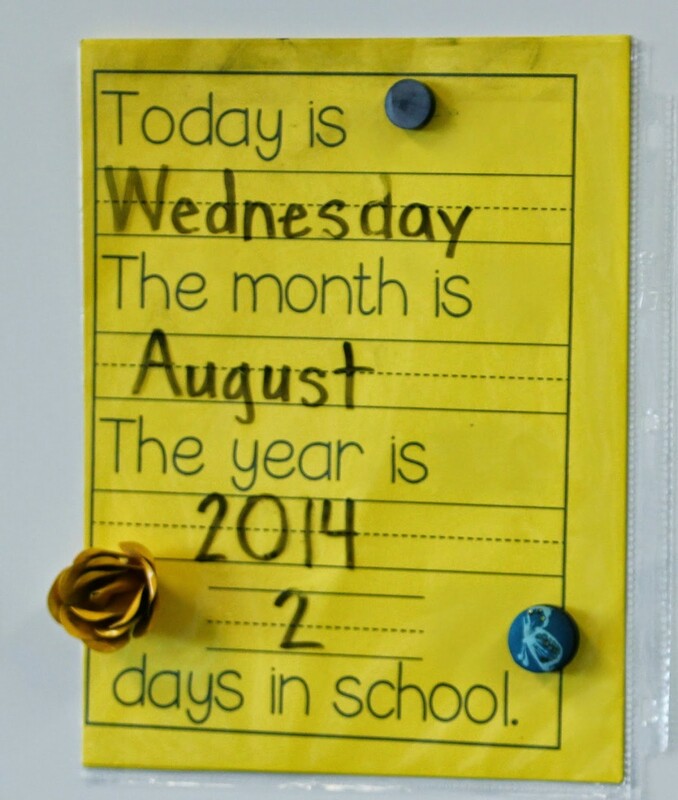 We are two days into the school year and I feel like we have covered so much and yet I am staring straight up at a steep mountain we have yet to climb in first grade! 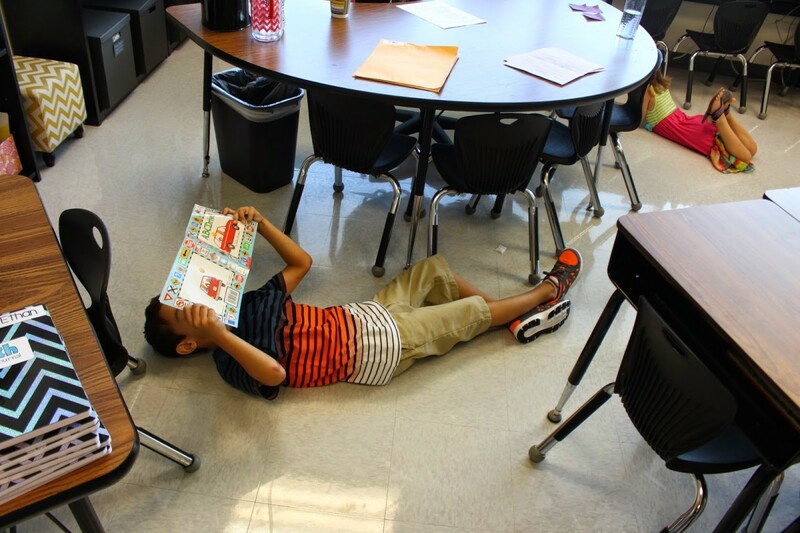 Back to school time is exhausting and exhilarating! 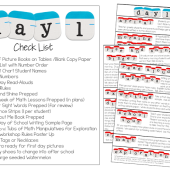 I hope to share what resources and techniques I am using to kick of a terrific year of learning! 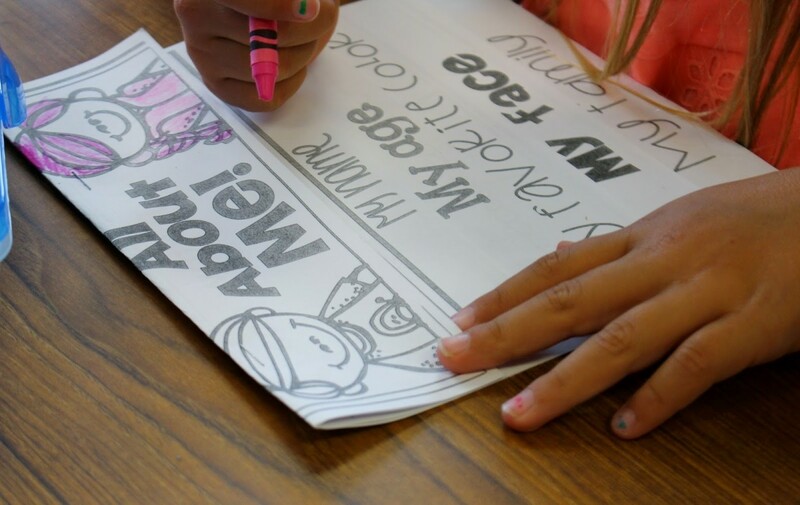 It’s so exciting to get to do all the new firsts with a brand new class, but we all know that being out of a consistent routine takes a LOT of extra effort! I’m currently sitting with feet up listening to calm soothing music trying to preserve my last ounces of energy! Here’s what we have been up to in room 119! We began our day with the first page of the rise and shine. We did it together and only worked on the first page. Students were able to reference mine if they got stuck. We took our beginning of the year writing sample which I will keep until the very end of the year. 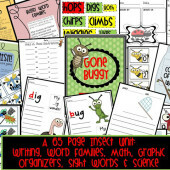 I will place this right next to an end of the year writing sample and we will marvel at how far we have come! 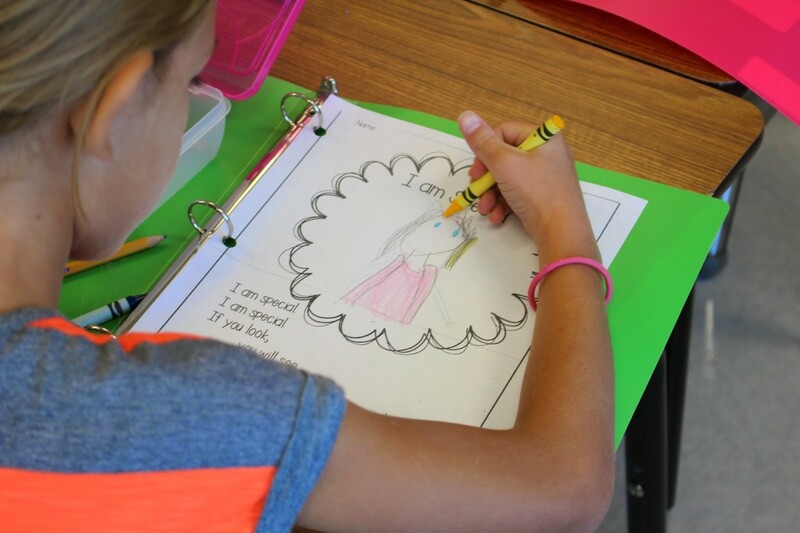 We launch in to a full study of All About me for a way to kick off writer’s workshop. 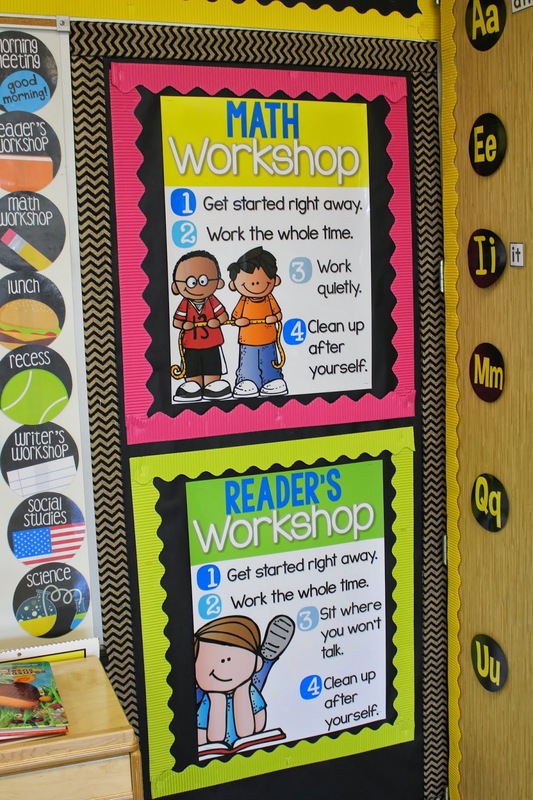 You’ll see a lot of this concept throughout the first two weeks in our room! 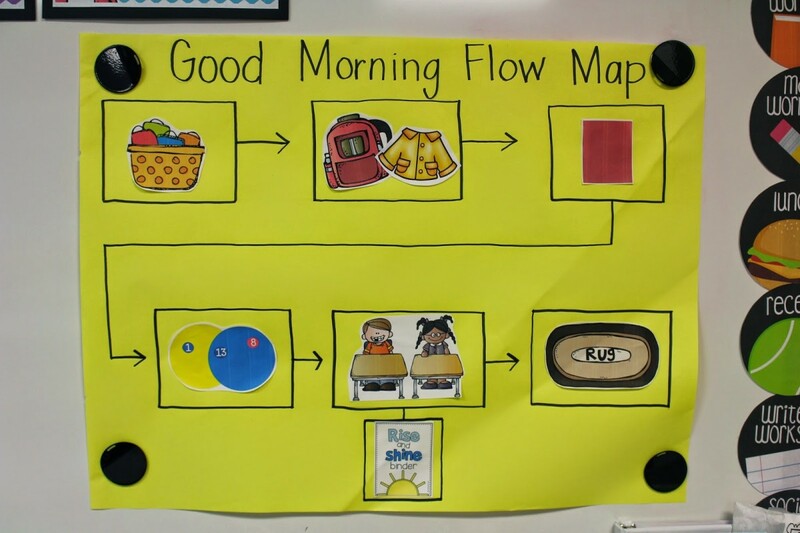 We made a flow map with clip art to help us with the morning routine. 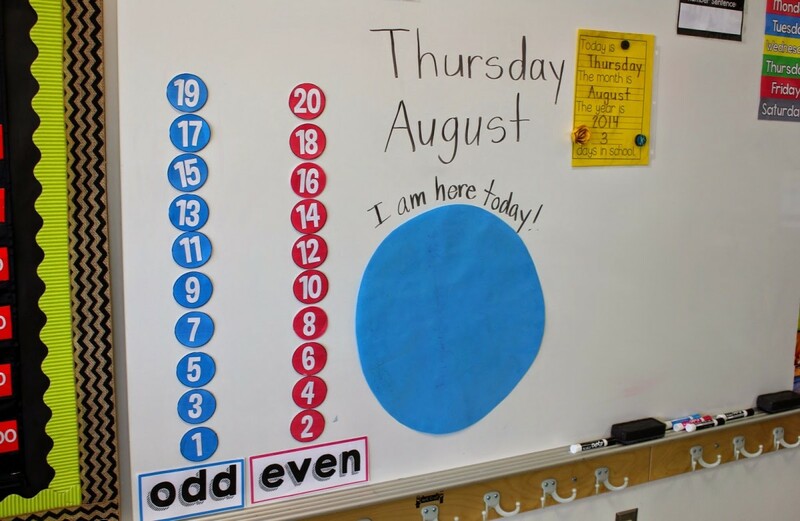 This was so helpful on day two! Students were so cute walking up and checking the flow map to see what to do next! 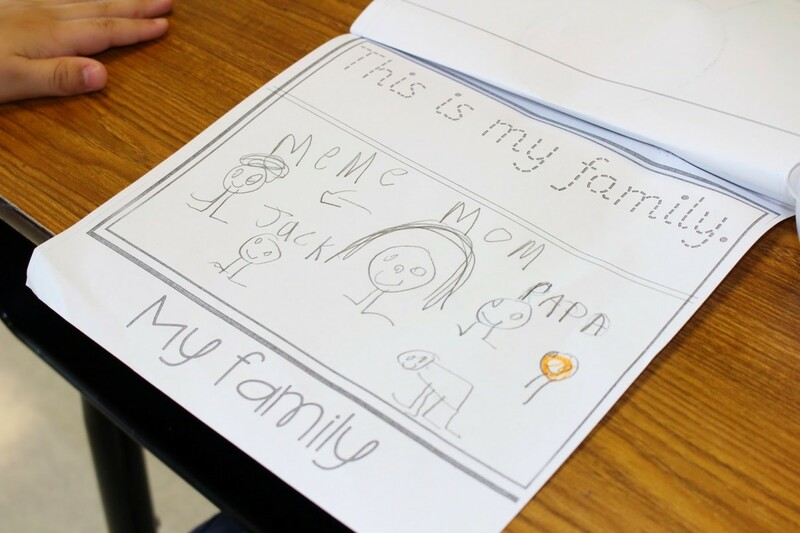 To do this with your class, make the flow map drawing but leave each box blank. Print pictures from google or your favorite clipartists and have them all mixed up on the left side. 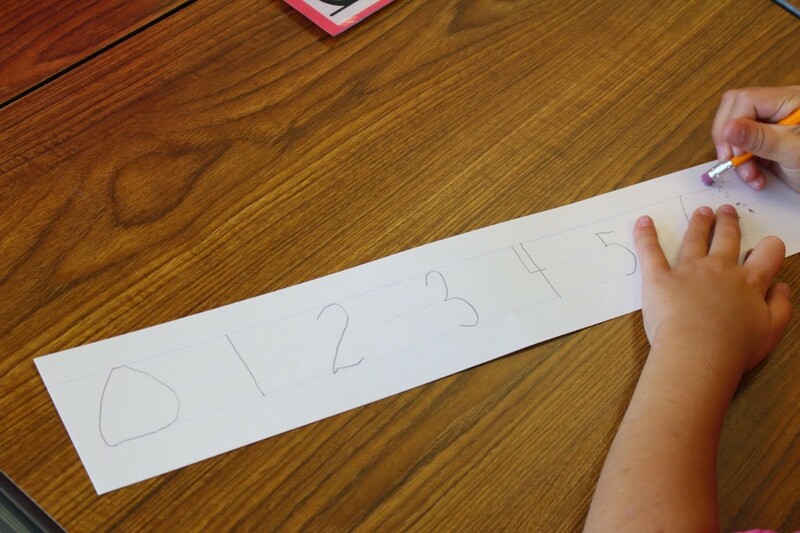 Then model walking in to the classroom and have students help you design the flow map together by putting the pictures in an order that makes sense! Now instead of saying it 3,427 times, you can point to it on the flow map until they can remember what to do! 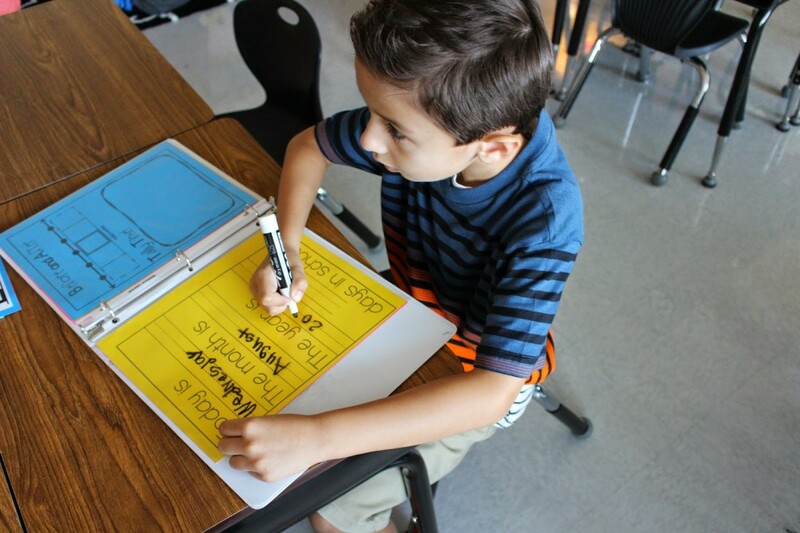 Because we haven’t fully launched into guided reading, we are doing a lot of kick off activities that we will build upon through the year. 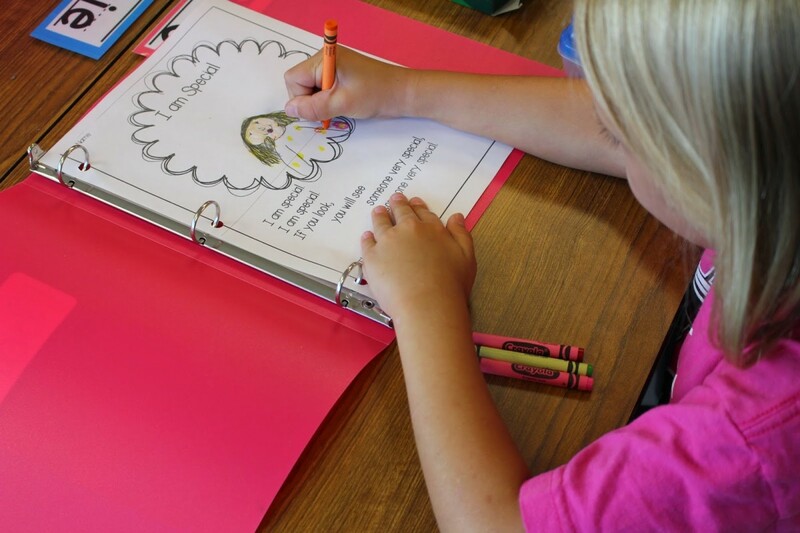 We learned our first poem and added it to our new poem binders. This was cut up in the pocket chart. 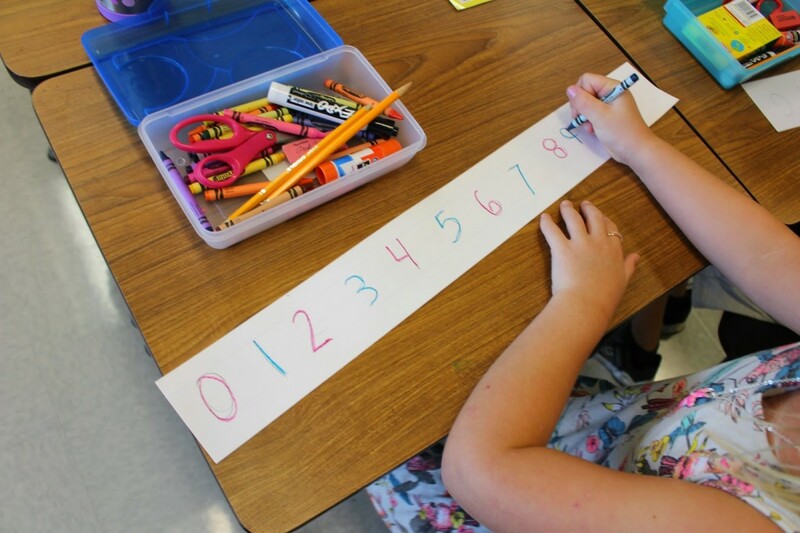 One of our first math mini-lessons was on number formation. 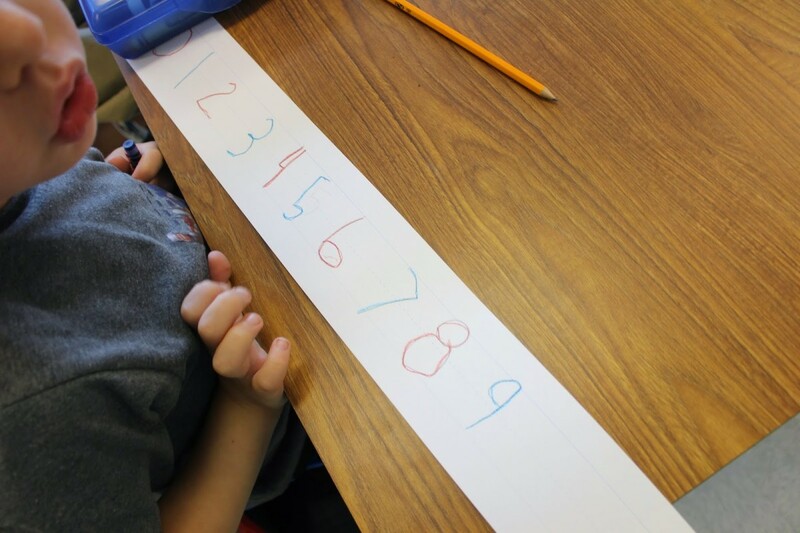 We practiced number formation and then made our own set of digits 0-9 on sentence strips. 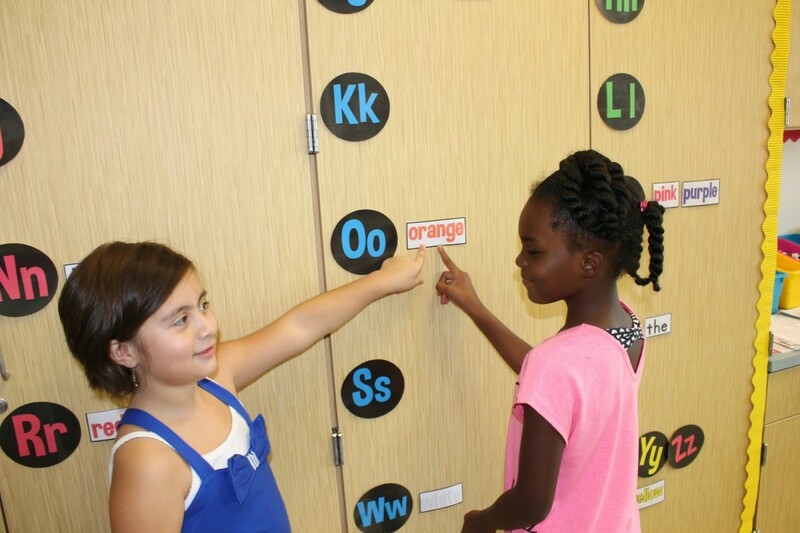 Next, we color coded our numbers to match our even odd number board that we use every day for our daily data. 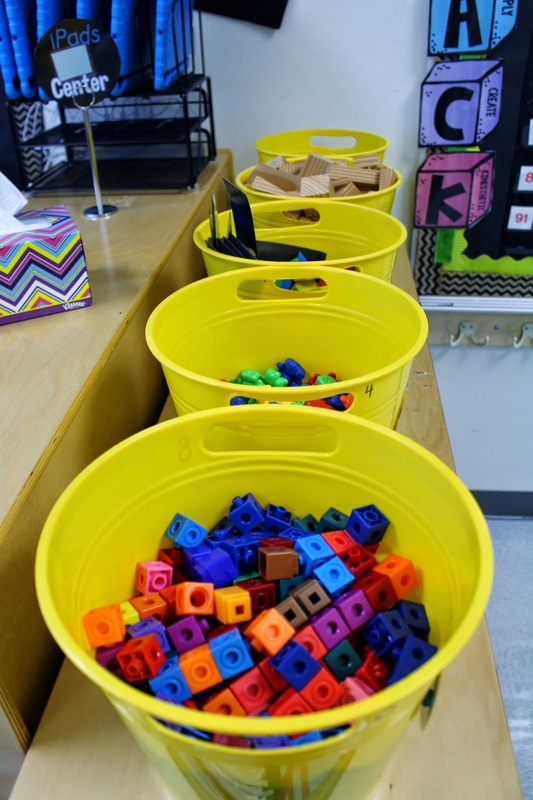 I introduced math workshop in the form of building stamina during exploration tub practice. This was my favorite time of the day! 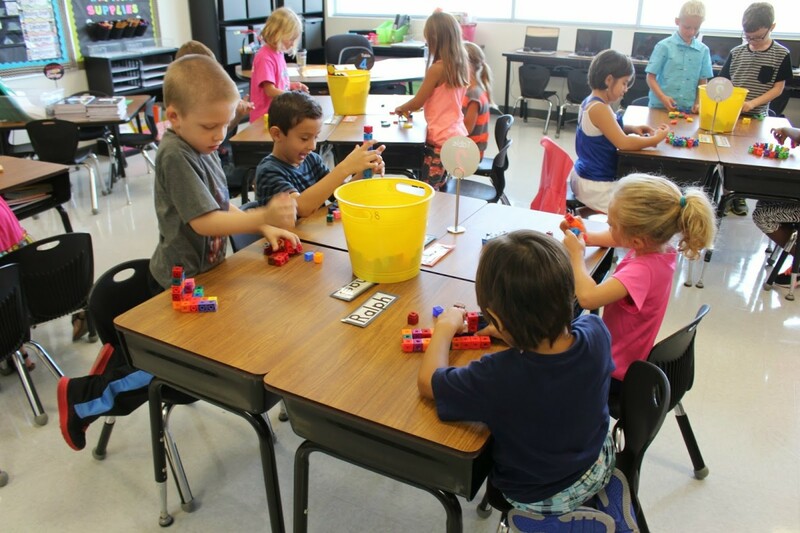 I was walking around listening to students and they were so excited to have some hands on fun! 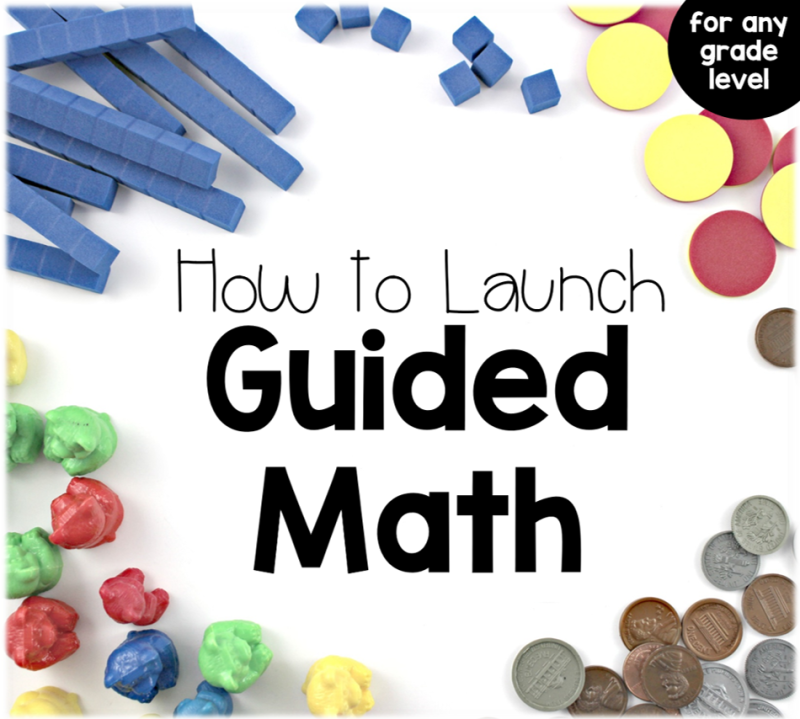 For a step by step guide to launching guided math grab this freebie! 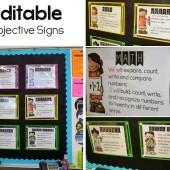 Here is what I put out for our first week of exploration tubs. 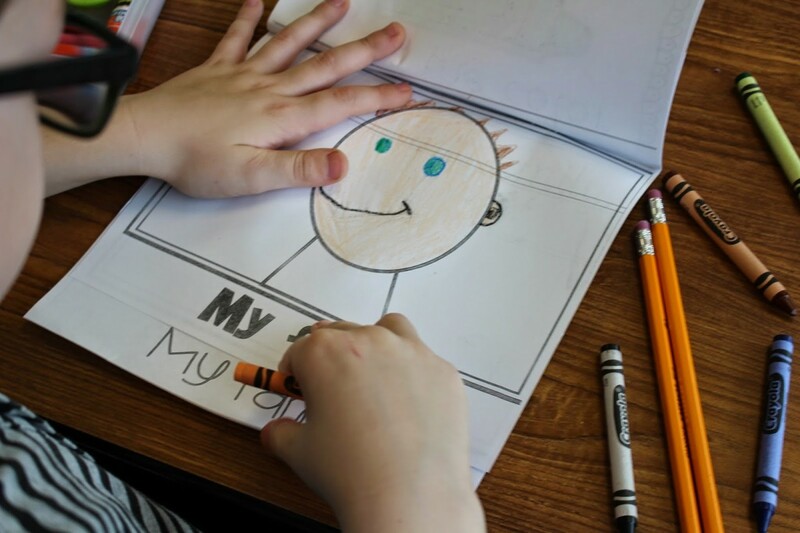 We work through our All About Me Flip Up Book. This was a life saver today! 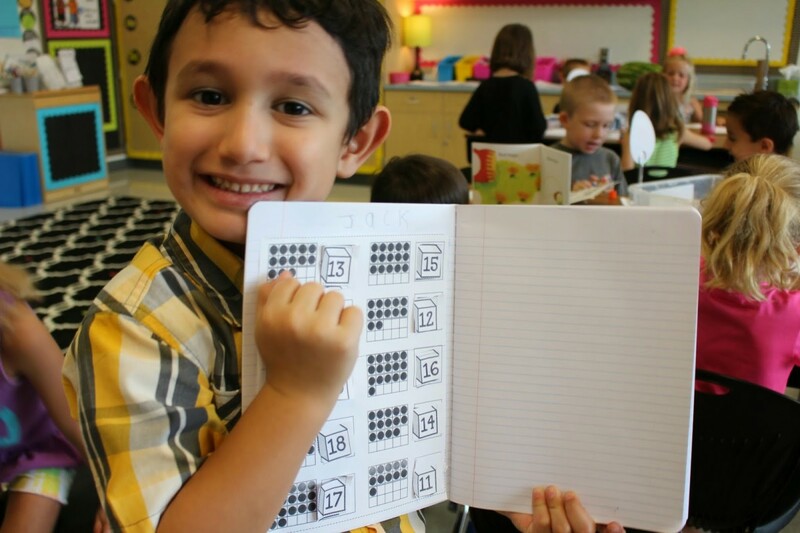 We practiced turn and talk as we completed each page. 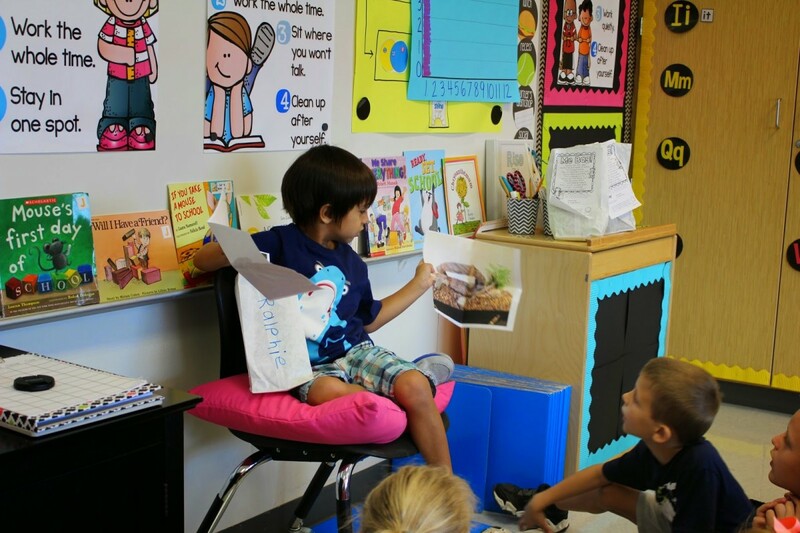 The flip up book asks for a favorite color so it was the perfect way to integrate using our word wall too! 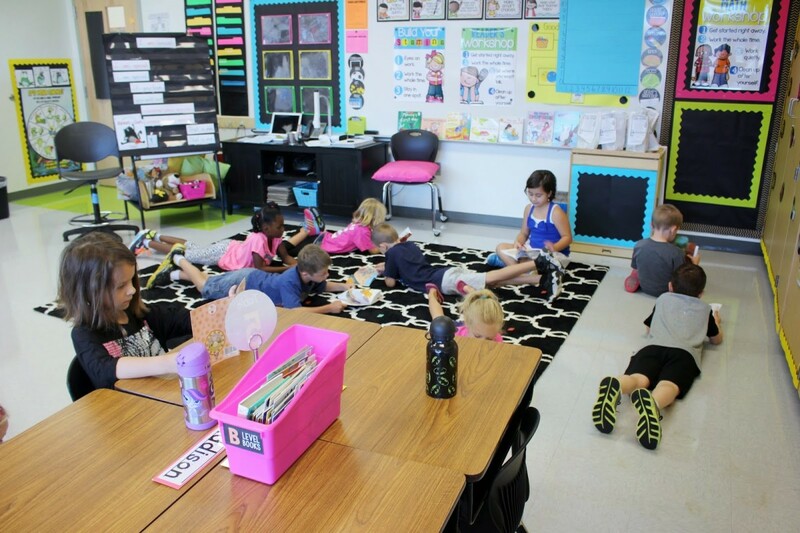 We practiced reading around the room and building our stamina! 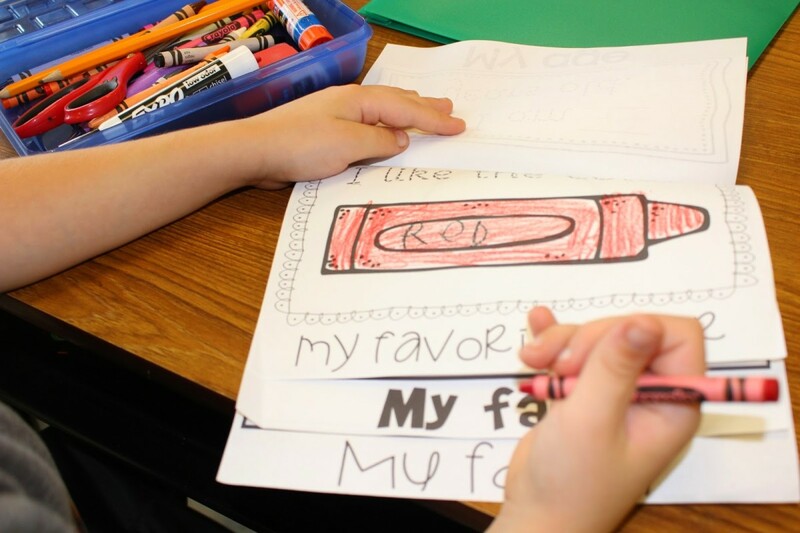 For the beginnings of writer’s workshop, students also each shared a ME BAG of three items from home with theclass. We have done a few each day to help fill in some of the extra time we have since we aren’t trained on our full schedule quite yet! 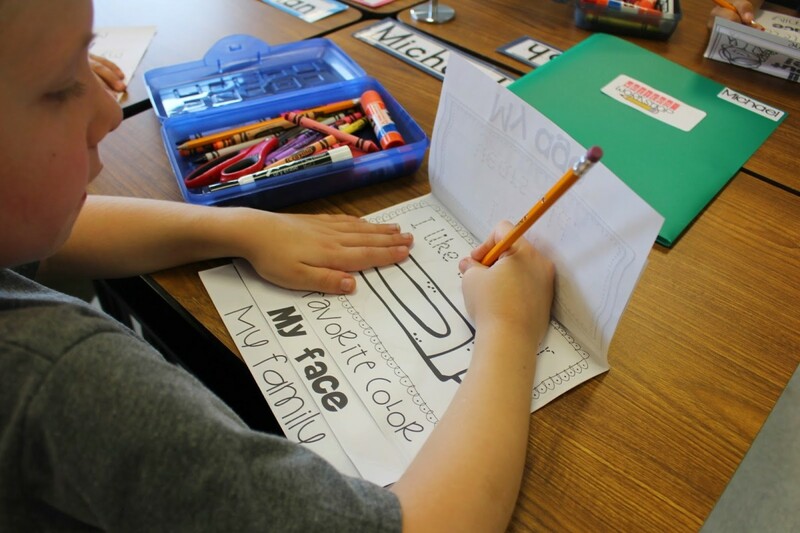 The me bag helps me introduce one of our first fall writings, All About Me Self-Portrait! 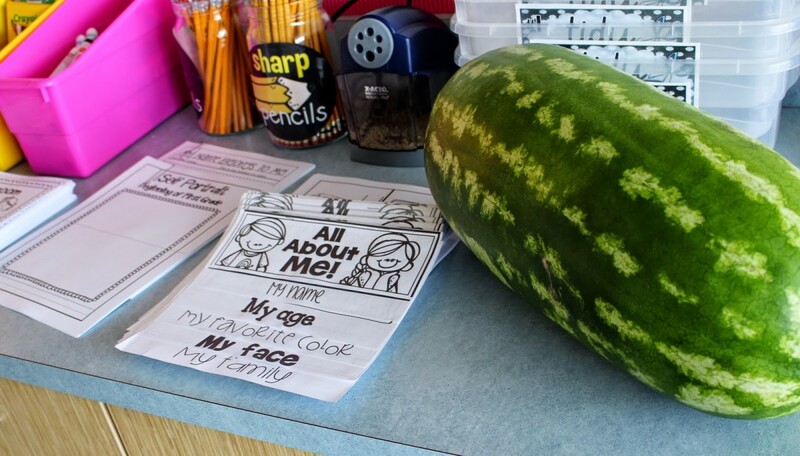 I know you are focusing on the enormous watermelon here and that is “bait” as students learned that we will be using this watermelon for science this week as we learn about what makes a scientist! 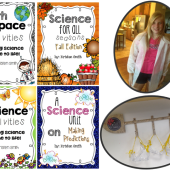 Watermelon science is how we introduce the scientific process and how we incorporate fun back to school activities too! 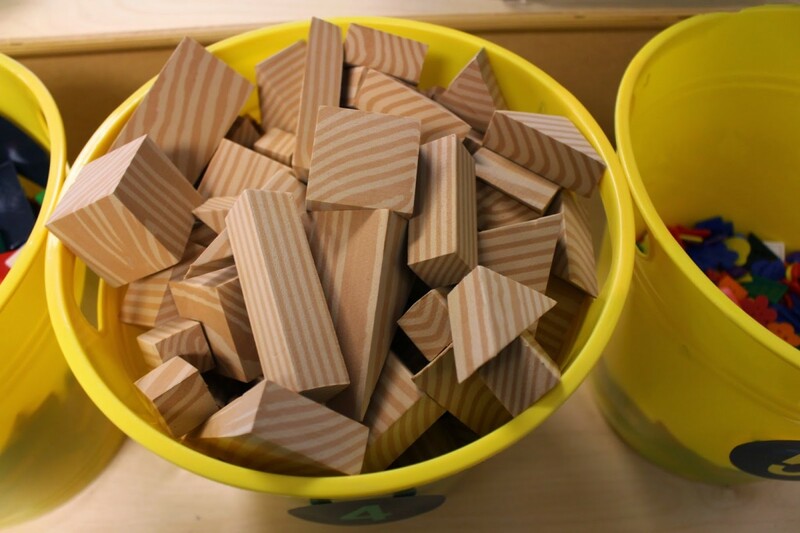 We will ask questions, predict, and experiment! Much like all the pumpkin fun we have in October. This watermelon is going to end up missing tomorrow and we will go on a watermelon hunt around the school ending in the principal’s office! We also sang down by the bay and did rhyming activities! We will read The Enormous Watermelon and compare it to The Enormous Turnip. For math we will work on our counting skills with the seeds. 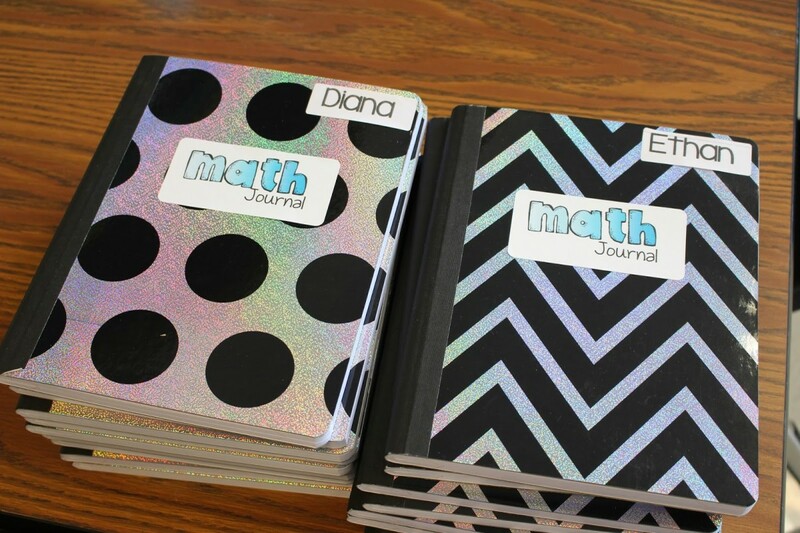 Finally, today we all practiced using a math journal together! This was the students’ favorite of the day! They kept saying, “This is so fun Mrs. Tonsil!” Although I did this at the end of the day, it will become a rotation during our guided math earlier in the day. For now, we are just learning how to handle the cuts and folds. It takes us about two weeks to become independent with this. For the time being it is it’s own time of day. 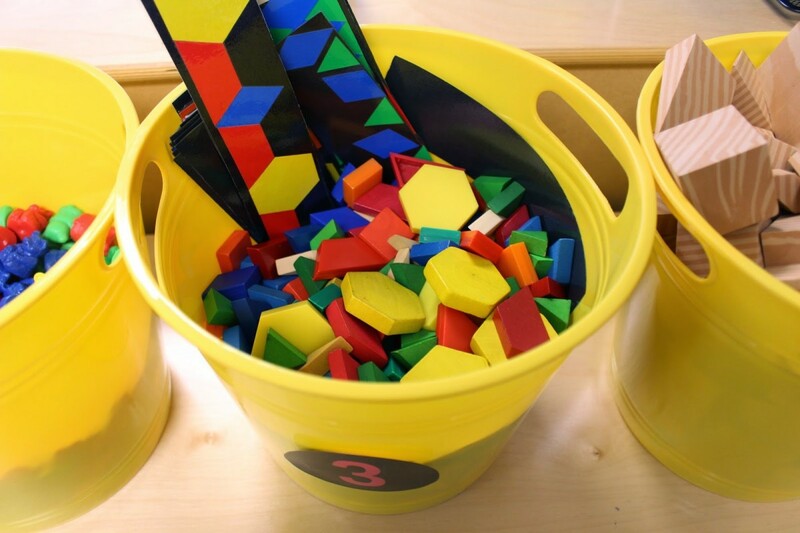 Can I please tell you about the tidy tub in the picture below?!?! What an awesome addition to our classroom! 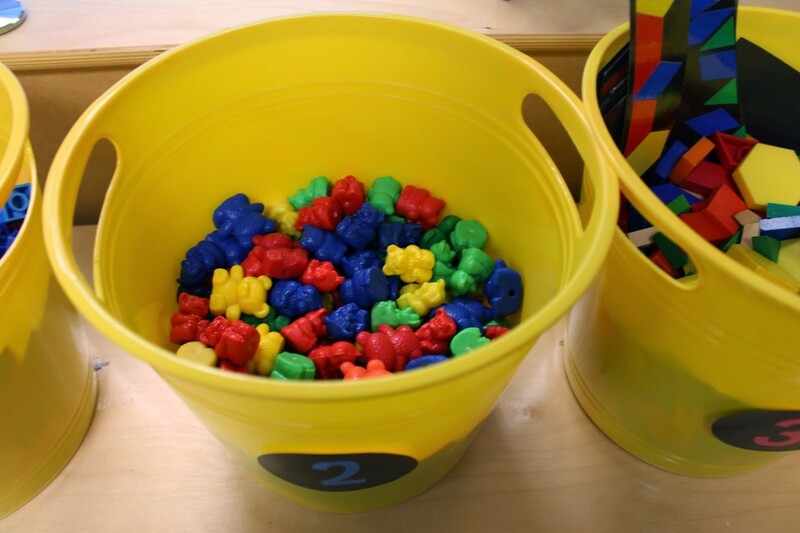 Place a tidy tub on each table and all the little scraps go right inside! 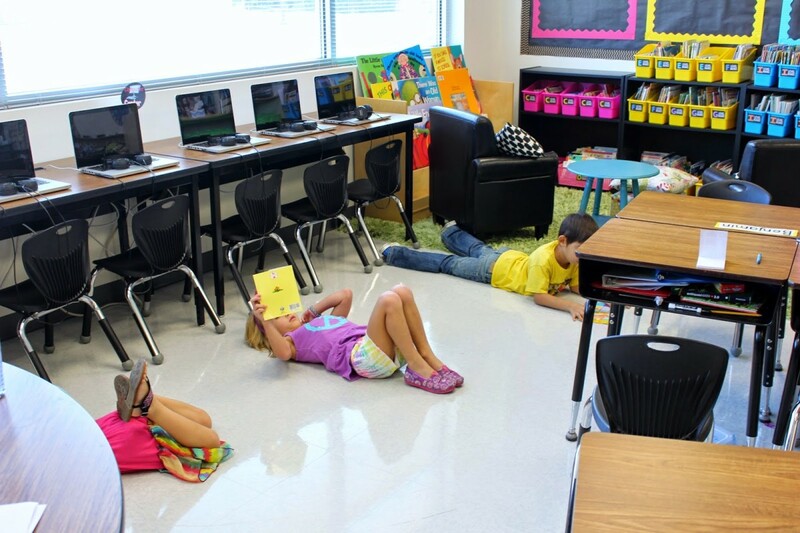 Students do not have to get up, and the floor remains clean! This genius idea came from Nicole Alderson and I got these labels from Rachelle here. The room is ready for another day! Tomorrow students will come in and begin all over again! Yes! 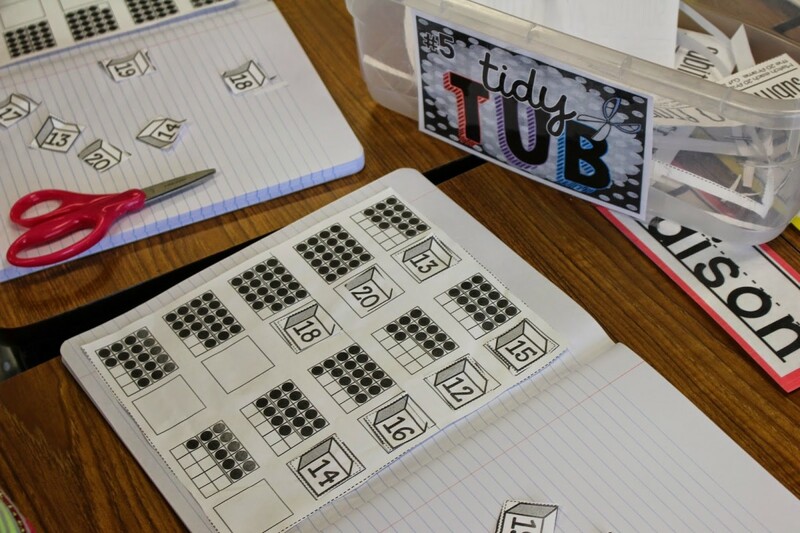 I L O V E the tidy tub idea! I'm soooo doing this tomorrow morning. 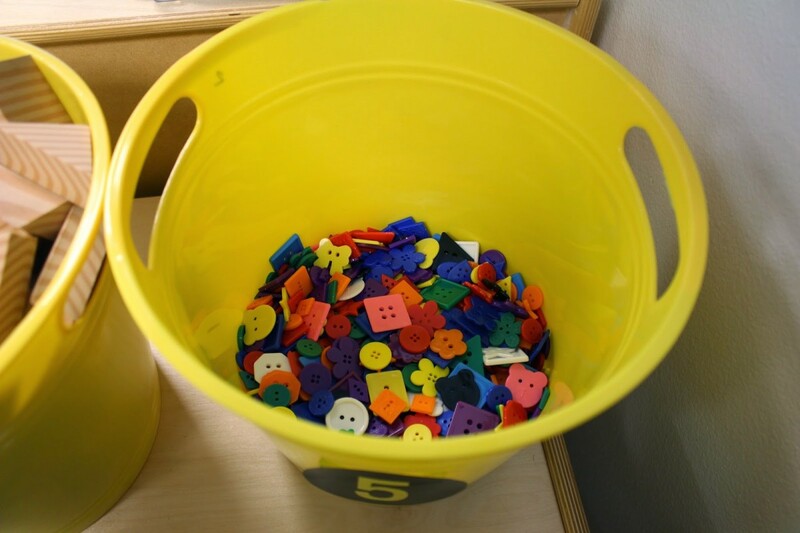 We don't start until next Thursday, but I can tell already what an enormous difference using the tidy tub will make!!! 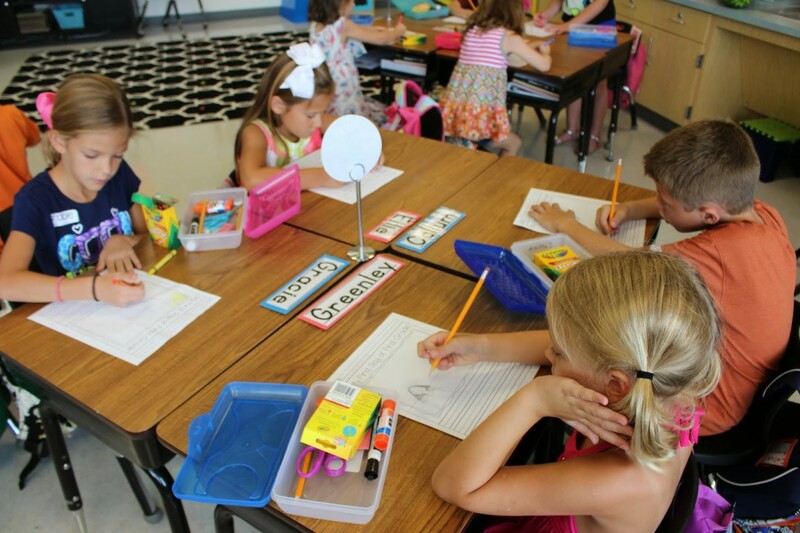 Congrats on what looks like a great start to the school year! A fabulous look into your week!! 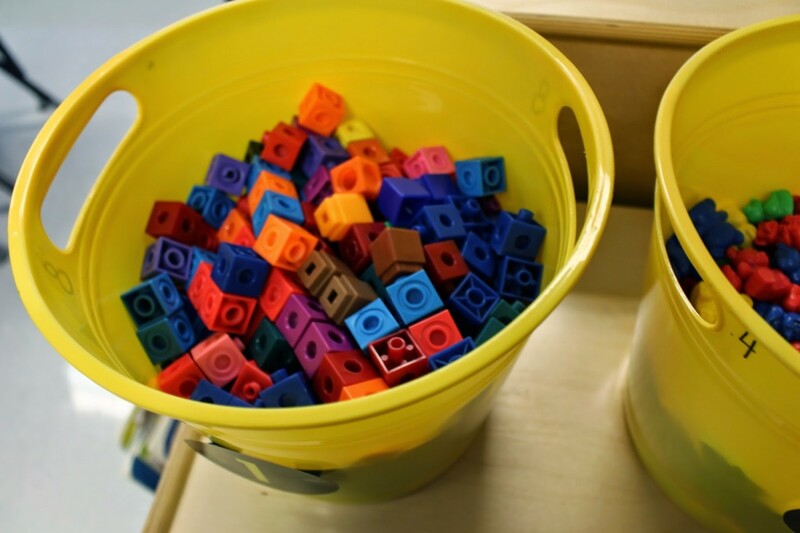 I also love the tidy tub idea…I wish I had thought of that idea years ago. 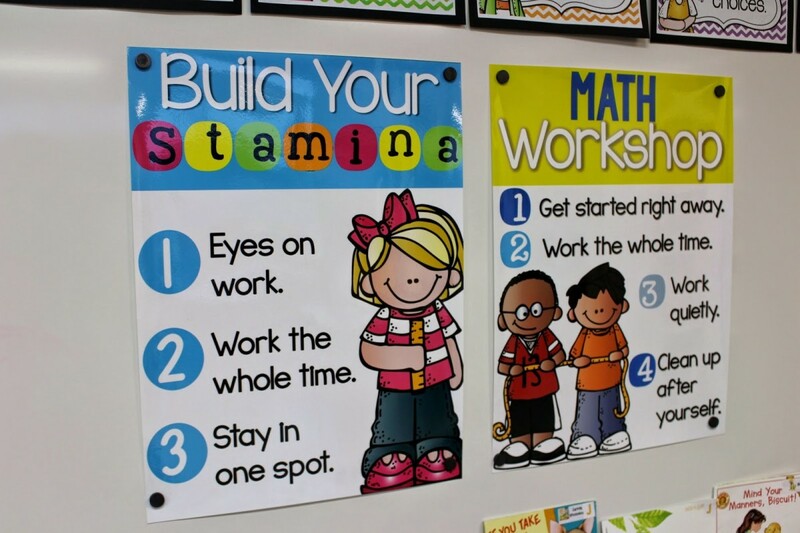 Thank you for sharing your Guided Math and Guided Reading posters, I am just wondering where you got them printed out so large? Keep having fun, my year has yet to begin!! I bought your packets that have the posters. I saved the packets to me thumb drive. Can i then just take that to office depot? Neat idea with the watermelon! I always use Down ByThe Bay as a beginning song/read aloud. 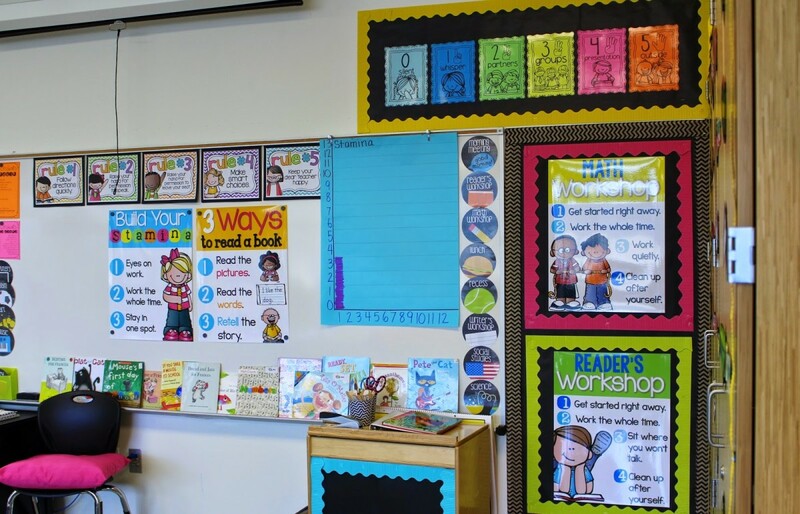 By the way–what happened to your Smartboard? The posters are adorable! Thanks for sharing with me! Thank you for sharing! The posters are great!